Whether you’re an experienced, new, or expecting mom then you’ll probably want to find a perfect Custom Birth Announcement. I know I searched all over the place for both my daughters, and honestly never found anything I really liked. So, I made them! I would consider myself an experienced mom, only because I have 2 little ones. But with every child you learn something new. With my youngest, I learned that I prefer using Gerber® Pure® Water when mixing baby cereal or infant formula. We’re past using infant formula, but we still regularly use baby cereal for breakfast. Since Gerber® Pure® Water is Specially Purified for Babies, it’s my go-to choice. I honestly think breakfast is her favorite meal! She loves baby cereal, and I love that it’s mixed with Gerber® Pure® which is water, pure and simple. Plus, our pantry is always fully stocked with Gerber® products! Art, I made mine myself which includes basic information like birth date, weight, length, & location where they were born. Map of birthplace. You can cut from a map, or in my case I printed out a map. Step 1: Cut out your art to fit the size of your frame. Then add the art to your frame. I left the glass in when adding my art. Step 2: Cut out the birth location on the map. I cut mine out in a heart shape. Step 3: Add foam tape to give it some depth. If you don’t have foam tape, you can also cut a small piece of cardboard and use that as your spacer. Step 4: Apply the heart map to the art. 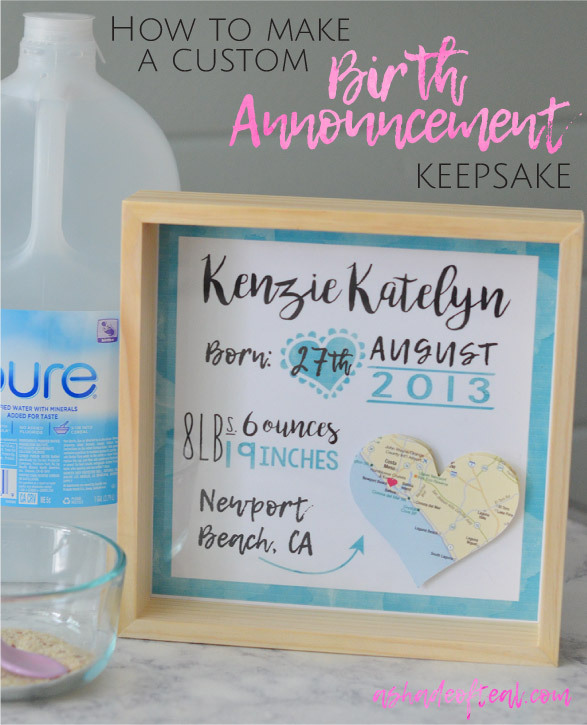 Now you have a perfect custom birth announcement keepsake! I created 2, one for each daughter. For now I have them displayed on shelves in their room. 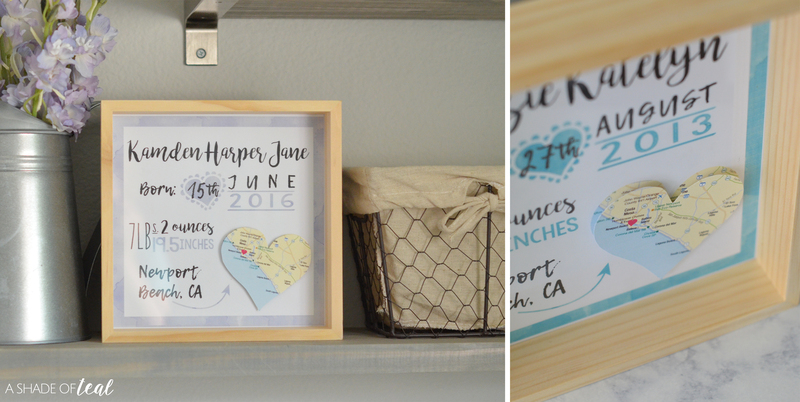 So, instead of searching high and low for the perfect birth announcement keepsake, just make your own! 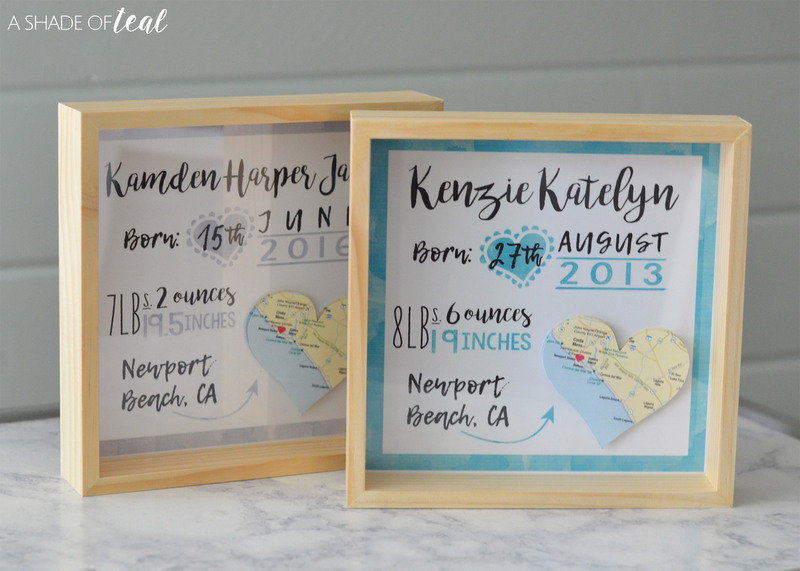 It makes it so much easier to match your decor, plus they also make for great baby shower gifts. 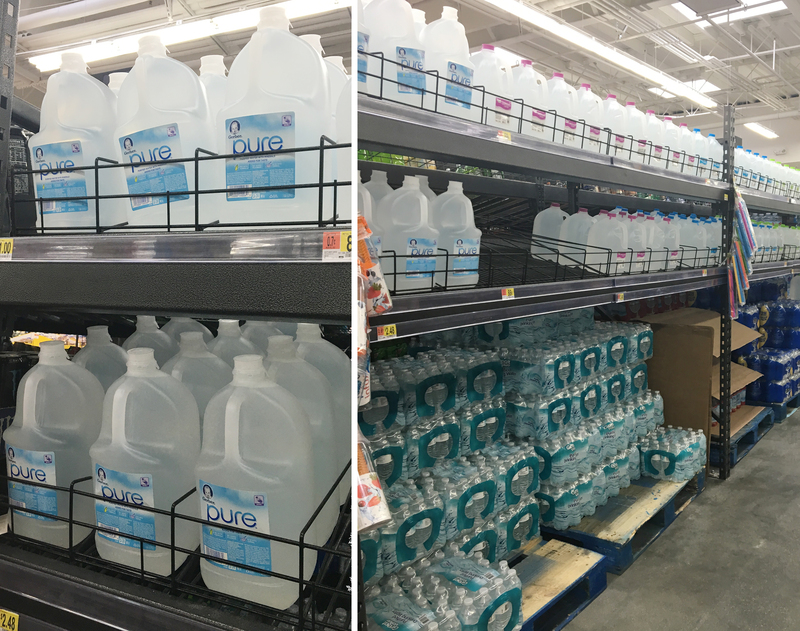 Plus, next time you’re in Walmart, make sure to pick up a gallon of Gerber® Pure® Water. You can find it in the water aisle located on the top shelves. What’s your favorite Keepsake for your baby? Did you have a hard time like me finding the perfect baby announcement? This is super cute. I have PCOS and have been TTC for over 10 years so I’m afraid that I may never be able to do something like this, but if I do, I definitely will. This is a super cute idea. Love that you included the map of the place. Oh wow I love this idea so much! 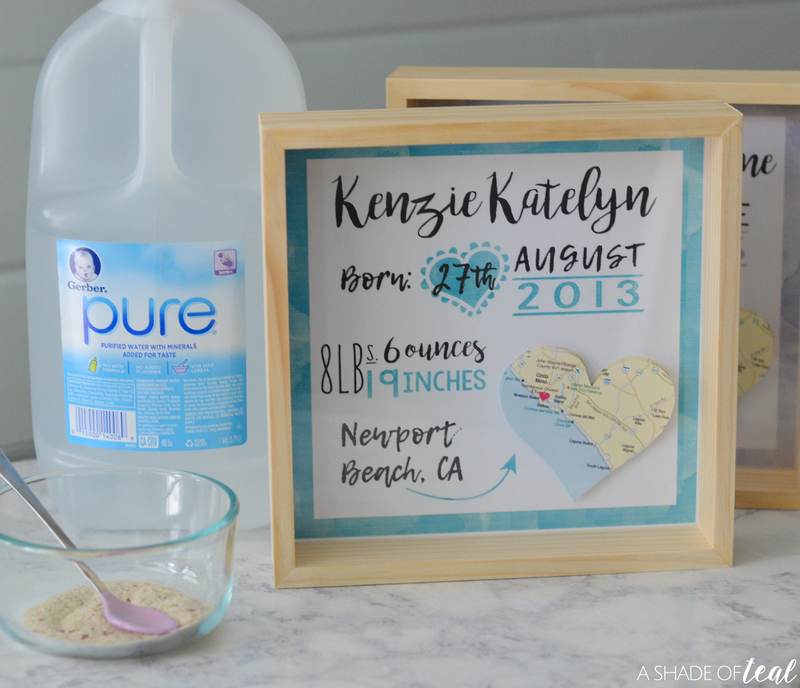 I made a shadow box for her baptism and I would love to make this too! Super cute idea for kids. In our family only my niece is smallest and i would love to share this with her mother. 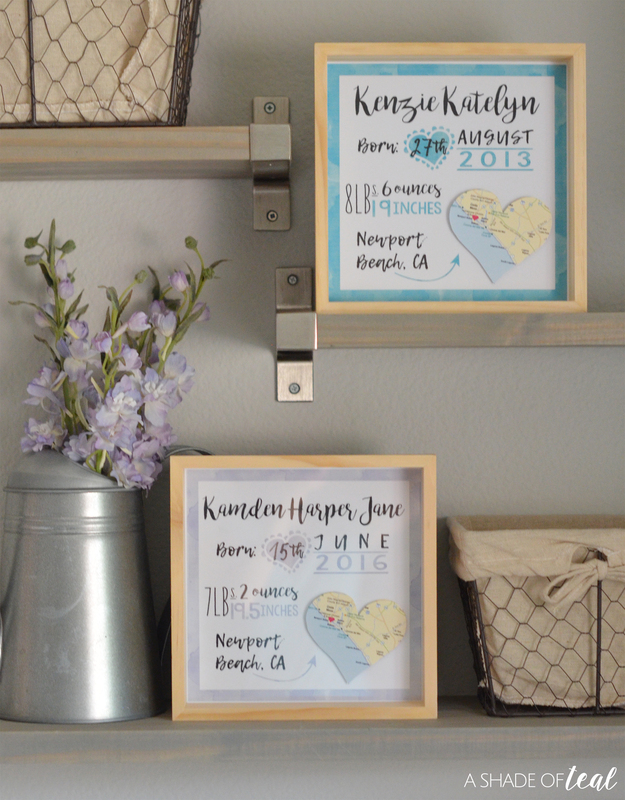 These are really cute birth announcements! I love this idea. There is something so special about having a keepsake like this to cherish. I think they are really really cute. 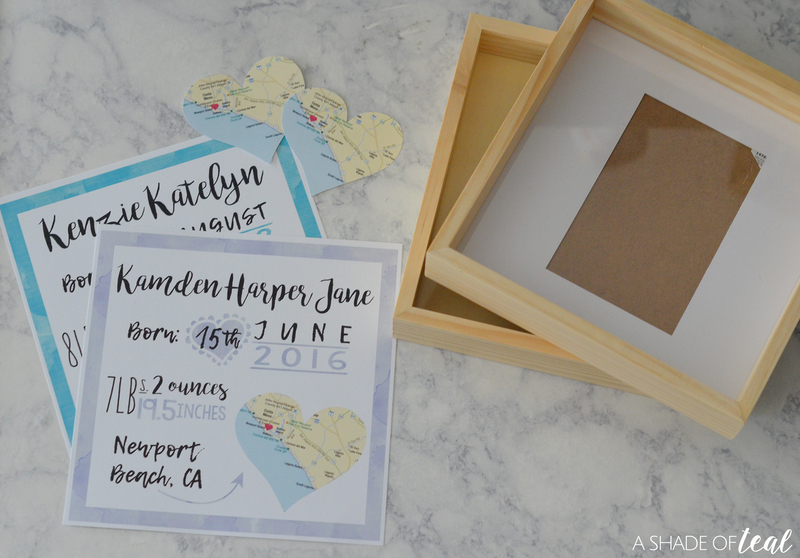 I love the thought of using a heart-shaped cutout of a map as part of a birth announcement keepsake. I also like using the effect of making the heart ‘pop’ or stand out from the rest of the paper. Oh my gosh this is so sweet! I love this and how fun to make! Those are simple yet cute keepsakes you have. I will have to remember this and do this in the future when I have my own kids.